Like many a horror anti-hero, the genre never truly dies. At times it may lay dormant in a graveyard of sub-standard fare, but it always rises to thrill once more. With common acceptance that the world is a scarier place than it’s ever been, horror currently reflects those fears as a vent to modern anxieties without becoming as depressing as the nightly news (although The Walking Dead sometimes wobbles). As the 5 star It Follows hits UK cinemas, we look at reasons for fear fans to be happy with the healthy state of horror. The Babadook was the hot ticket at FrightFest August 2014, drawing almost universal acclaim from festival-goers and subsequent five star reviews when released in October. The movie was subsequently declared film of the year by Mark Kermode and, ahem, ourselves. Largely eschewing modern gadgets, the film centres around the lo-fi chills of the scariest children’s pop-up book ever opened, drawing chills from folklore and the early shivers of silent horror cinemas. 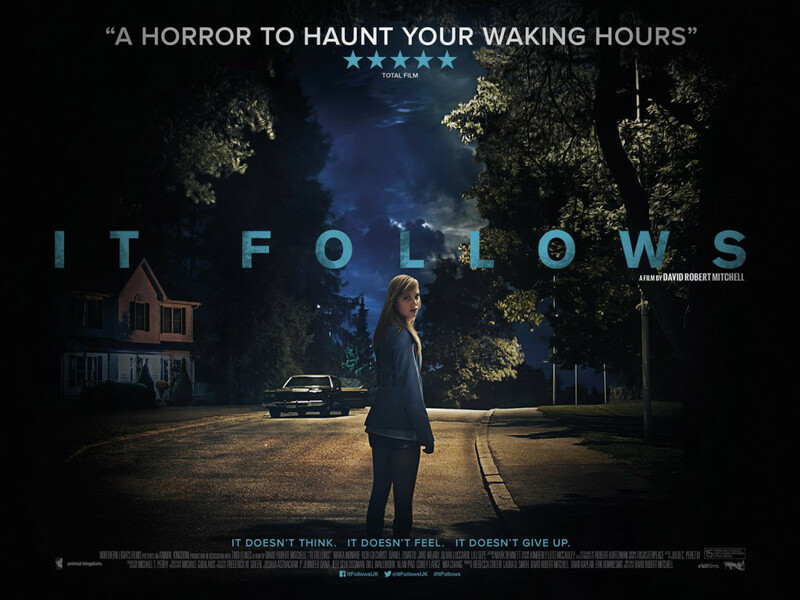 It Follows arrives after being a hot ticket at October’s London Film Festival. Drawing on 80s teen slasher conventions, but doing deft and clever reworkings to conjure fresh jolts it’s an auspicious start to the year for fright flicks. We’re of the belief horror is cinema’s most important genre, and there is nothing more exhilarating than a horror movie with brains as well as guts. Right now we’re being treated to a run of movies refracting contemporary fears through horror’s warped lens. 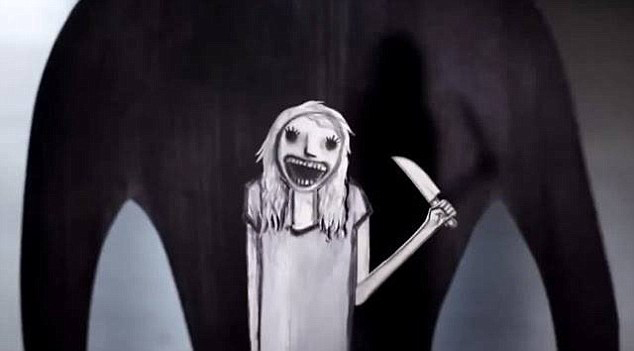 The Babadook trades heavily in allegory, chiefly anxiety of bad parenting and child neglect. The titular bogeyman is arguably a manifestation of the protagonist’s grief, trauma and resentment at a terrible accident, stunningly realised in the film’s opening moments. It Follows draws on a teenage dread of entering a terrifying adult world, death slowly but inexorably closing in with every passing moment. No wonder the gang in the film retreat to childhood idylls after each close encounter, be it a beach or a playground. Sexual dread, another horror staple, also appears in It Follows. The fear of contagion is present and correct, along with the modern disquiet that even the ones closest to you remain a threatening mystery. 2014’s genre-bending chiller The Guest was a first-rate B-movie blast, using Dan Stevens’ mesmeric Mephistophelean lead turn and well-executed scares and action to deliver a subtext about America’s tactics for “pacification” in far-off desert lands coming home to explode in apple pie suburbia. Economic angst also appears in It Follows, but forms the backbone of 2014’s knockout chiller Cheap Thrills. Up-ending expectations of the home invasion movie, here the victims willingly stay in their tormentor’s abode, subjugating themselves in increasingly dark, high stake games for greater financial reward. Proof that the mirror held up to society doesn’t just have to be cracked, What We Do In The Shadows is a screamingly funny slice of social comedy neatly wrapped up as a vampire film. Were mythological monsters real, the film’s thesis that vampires would be middle class snobs while werewolves the blue collar underdogs is sound. The best horror films don’t forget the golden rule: people pay the ticket price for a good time. Coming up in March 2015 is The Town That Dreaded Sundown, a remake of little-known 70s slasher. Playing fun meta-games (the film takes place in a world where the original film is based on true events), regular American Horror Story director Alfonso Gomez-Rejon delivers a high-energy suspenser that gives old school horror a bloody good makeover. Other recent gems include Life After Beth, a rom-zom-com in the Warm Bodies vein and Lucky McKee’s All Cheerleaders Must Die, an exciting high-school-is-hell treat with a killer final shot. Even internet forum whipping boy Eli Roth has returned with the lively, gory cannibal throwback movie The Green Inferno, which proves he can deliver a solidly likeable movie, even if Netflix series Hemlock Grove disappointed. Shout out also to Occulus. An opinion divider to be sure, but we liked what it did with the haunted mirror device. And our hidden gem of 2014 was The Borderlands, a devilishly good found-footage belter. One more to look out for is cracking Venezuelan film The House at the End of Time, a confident, inventive spin on the haunted house tale weaving horror, mystery, melodrama and kids’ adventure into its bold non-linear structure. Three cheers for cable TV. With modern audiences now guzzling long running, intelligent, groundbreaking shows, it is great that horror is on the menu. 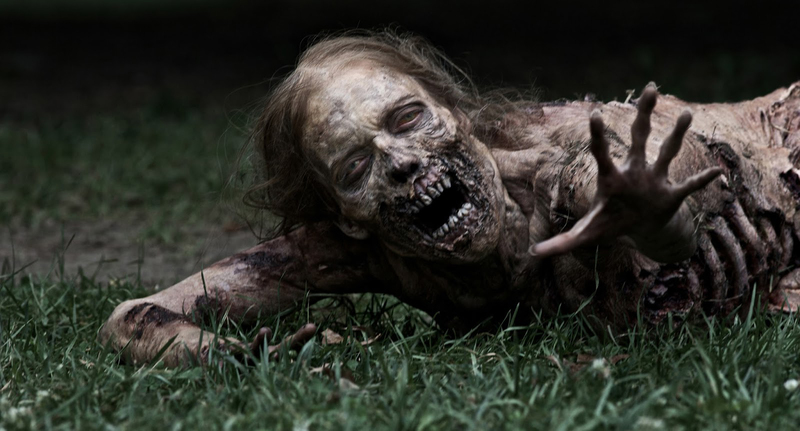 The jewel here is The Walking Dead. Based on the enjoyable but disposable comic book series, the transition to the screen does true justice to its central premise: what would life be like in a zombie apocalypse? Social breakdown, die-hard prejudices, child rearing headaches and low-tech medical care are all meat to chew on in this riveting show. The outrageous gore FX would have been liberally trimmed by the BBFC 15 years ago, but now plays uncut at 9pm on Fox. The high death count could see it topple into joyless shock territory yet – we hope it doesn’t. Beyond the world of horror’s most put-upon undead bad guys, American Horror Story stands out as a genuinely fascinating pulp pleasure, and a rarity in being an increasingly feminist horror show, particularly Season 3, Coven. Sometimes there is wonder within the horror. Witness the unlikely resurrection of everyone’s favourite psycho-psychiatrist in Hannibal. No intellectual property should be credible after a farcical filleting like Hannibal Rising. But, by going back to well of Red Dragon and scoring a casting bullseye with Mads Mikkelsen Hannibal Lecter gained new life. And the slickest, slipperiest serial chiller of recent times is now going from respected cult to certified hit. One of 2014’s most striking horror fables was HBO’s The Leftovers. A metaphor for life in an age of random terrorism, its premise that 2% of the world’s population simply vanishes one morning is played to the hilt. Most folk try to carry on as normal, but are constantly reminded of the loss, not least by cult groups appearing all over the country. Not traditional horror, but frequently devastating, it will be interesting to see if Damon Lindelof can maintain a satisfying on-going story, rather than tailspin as he did with Lost (and Prometheus). For those just wanting trash silliness, you could do worse than Kevin Bacon retirement plan serial killer fluff The Folllowing. Over the past few years, animated movies have quietly been delivering some of the best horror flicks. Pixar’s superlative Monsters Inc. flirted with under-the-bed nightmares in 2001, but the trend began with the 2005 Tim Burton’s Corpse Bride, a handsomely designed but sleepy, hollow affair. However, $117m globally meant other kid friendly horror movies would be allowed out to play (and slay). The best of these to date is 2012’s ParaNorman. Made with genuine affection and knowledge of the zombie genre, it’s charming, inventive and contains an allegorical subtext about the dangers of scapegoating outsiders the filmmakers returned to with 2014’s similarly rewarding The Boxtrolls. Elsewhere, Coraline is also shaping up to become a classic children’s movie, while a shout-out is due to overlooked 2006 gem Monster House, which seems to invoke John Carpenter’s Christine for its denouement. Tim Burton would also have more success (artistically if not financially) with 2012’s Frankenweenie, an affectionate homage to Universal’s horror classics and a remake of his 1984 live action short of the same name. So, what awaits in 2015? New instalments of Insidious and Paranormal Activity of course, plus reboots of Poltergeist and Amityville that will be presumed DOA unless we hear otherwise. But, the following movies should be worth the wait. The aforementioned The Town That Dreaded Sundown will delight horror fans. Cooties has Rainn Wilson and Elijah Wood as teachers battling children-turned-tearaway zombies as sounds a hoot. Victor Frankenstein is the familiar story told through the eyes of Igor, played by Daniel Radcliffe. A serious do-over of the winning 2008 animated Igor then? The [REC] franchise is back on form after two shonky sequels with [REC] 4: Apocalypse. On TV The Walking Dead figuratively continues a brisk pace, while The Guest director Adam Wingard and The Walking Dead writer Robert Kirkman team up for possession chiller Outcast. 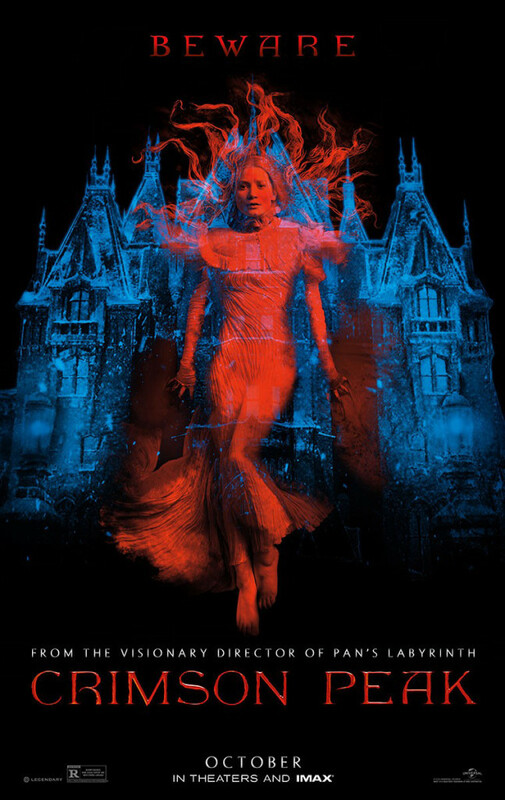 And then there is Crimson Peak. Guillermo del Toro is responsible for some of cinema’s most brilliantly conceived chillers, and in our opinion Pan’s Labyrinth was the noughties best movie. Pacific Rim was an outsized misfire, but del Toro’s take on the haunted house movie looks like Rebecca meets The Innocents meets The Shining and hopefully should see the big man back on form.